Through Elle's Eyes: Happy Halloween! Hope you're all having a spooktacular Halloween and enjoying whatever you're doing. I'll be at an evening class with CSM this evening so I won't be parting tonight which means no fun costume for me! But I will be sporting these witchy looking 3D nail wraps from Nail Rock that I picked up in Topshop. I think the black dotted texture is quite creepy really so they work perfectly to reflect this fun festive time of year. This is my first experience with nail wraps and they're really easy to apply and apparently last up to 10 days but I'm not sure I'll be keeping this weird one on for that long...maybe I'll try some more another time. But for now, paired with a vampy berry lip, they're injecting a little witchy-ness into my all black outfit for Halloween! 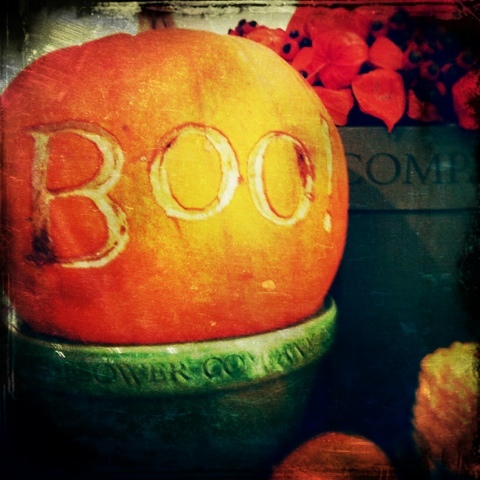 Wishing everyone a safe and happy Halloween and enjoy lots of scares and sweets!